Today has been lazy and hectic. I slept in after a night of wine and friends and went to waffle house with my best friend because Waffle House is the ultimate hangover food. I went to my last final, then when I got home packed my car with things to consign when I go to work on Friday, and started the pesky laundry that’s been building up in my room. I was also supposed to pack a little, but doing anything is hard with these cuties around. So I decided to take a break and sat down at my desk. And of course, at the top of the pile of mail there are these two catalogs. I flipped through them, not expecting to be urged to go buy something immediately. However, of course, there are coupons in the books. The Sally’s one doesn’t bother me as much, but I may save it in case I decide to buy more hair dye in may. The Lane Bryant ones are the ones that get me. It’s their famous tactic of One Now and One Later. But if you read those carefully you’ll see it’s $15 off $15 or more. Fifteen dollars off fifteen dollars or more. With two chances to do it. I was originally ecstatic. 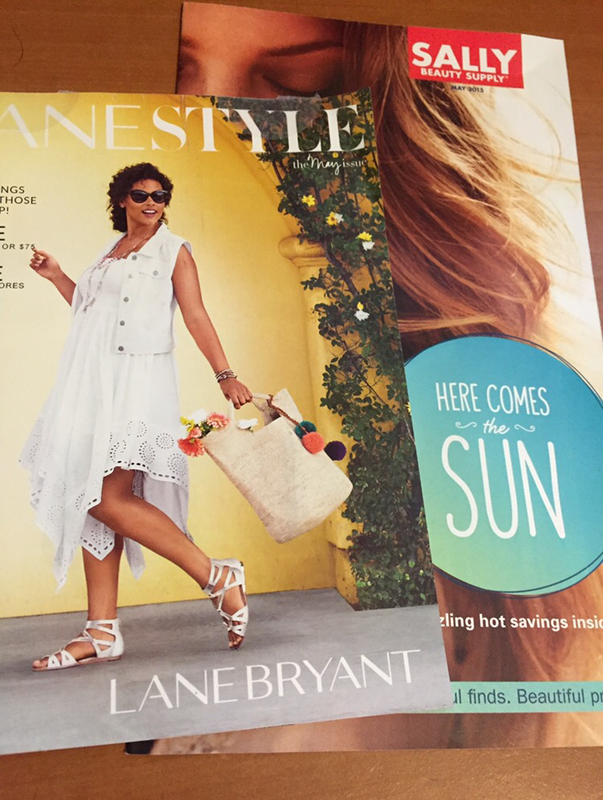 I love Lane Bryant, and I love how it looks on me. I also love using coupons like this because I can get something and only end up paying a few cents for it. What a deal! My biggest problem comes because I’m trying to do a capsule wardrobe. I want to start in June vs July and because of things I’ve read online, I know I shouldn’t buy anything new for my first capsule. But this deal is going to drive me crazy. I want to see if they have a nice sun dress I can buy for my capsule. Or a plain white tee since I’ve been wanting one since I started seeing capsules because I don’t own a plain white tee. I own a lot of white graphic tees. I’ll probably end up giving these coupons to my mom to stay away from the temptation. Or maybe I’ll buy new undergarments. I’ve already started cleaning up my inbox by unsubscribing from mail lists. I think I need to figure out how to opt-out of the mailed versions too. 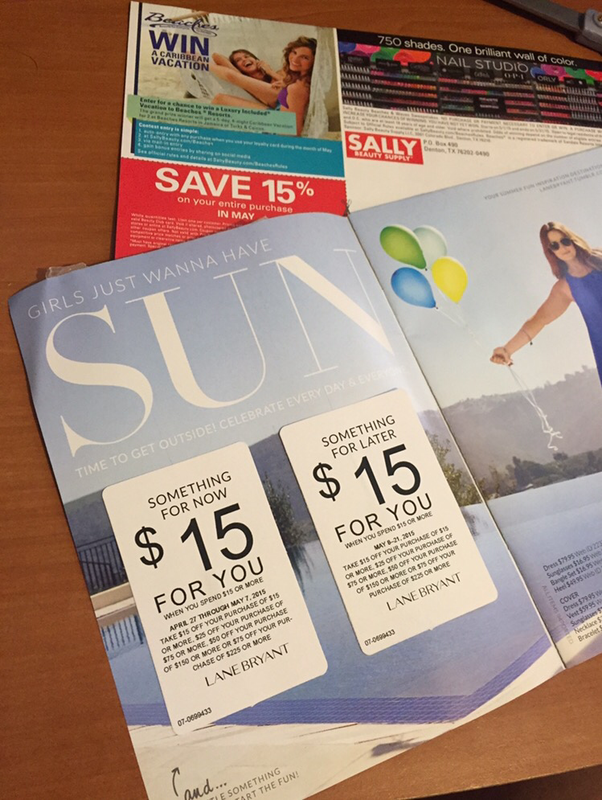 How do you guys deal with the temptations to use really good coupons when you get them in the mail?